Fireplace free turns your Mac into a warm fireplace! Enjoy an HD fireplace to entertain at your next party. It does make your screen warmer and if you get close enough, you can feel it. Note that it does take a while to make your screen warmer in some cases and it also has a loop-time. When I put the app full screen, my daughters think it will warm up the screen. It's great to enjoy. I'd rather have one that's a bit longer & has a more varied view. More like the ones on TV that actually burn down. This one is like a 30 second loop over & over. Download it and move your mouse off the the screen and the box will go away. Work fine. This actually isn't a FREE APP, you need to pay $ if you want to enjoy the fireplace w/o a banner in front of the flames that reads UPGRADE NOW!!! Besides the fact that there's a giant pop-up, the logs won't even show up in the window! After the pop-up disappears, it just becomes a light grey screen. Although the sounds come up, but who wants to just listen to a fire? This product was very pretty, but it had a pop up and it really wouldn't let you see the fire. The sound is great but besides that every thing is GREAT!!!!!! I won't buy the Paid version because of the sleazy way this app was created. 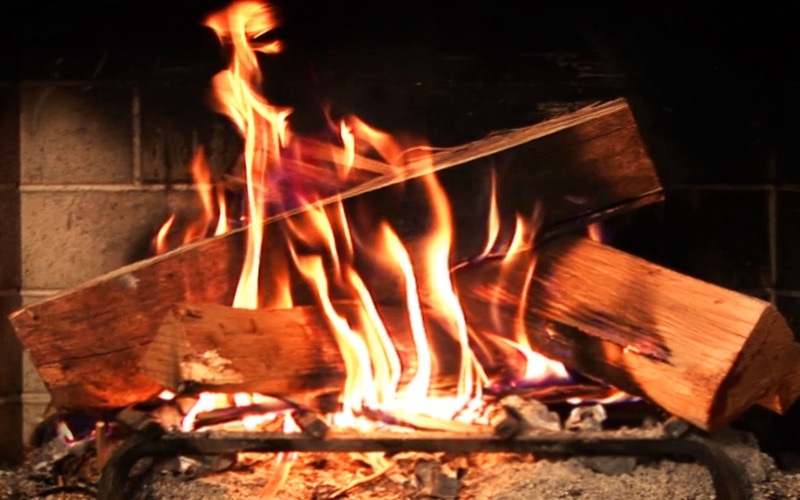 It's a short, low-res video loop of a fire in a fire place. Ok, it's free, so what. The what is a big in-app purchase popup that opens in the center of the screen when you launch the app. Ok, still no big deal. Until you realize you can't close it. Ok, still no bg deal- if you don't move your mouse, it closes in about 15sec, it closes itself. Until you realize that any input into your computer (mouse movement, keystroke) brings up the popup again. And then you have to wait for it to go away on its own. That's a big deal for me. I deleted it and will look elsewhere for a fireplace app rather than be annoyed into buying this guy's app.